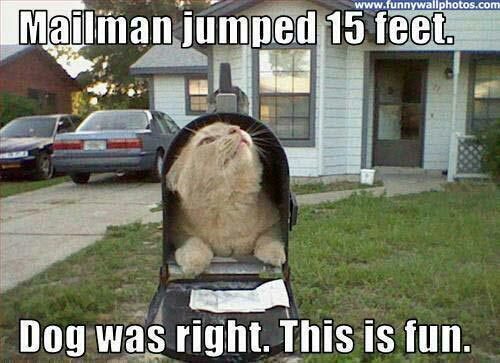 Mailman jumped 15 feet. Dog was right. This is fun. Created about 6 yrs, 2 mths ago (January 26, 2013). Updated about 6 yrs, 2 mths ago (January 26, 2013).